← How Will You Celebrate National Zucchini Day? With These Awesome Fritters, I hope! 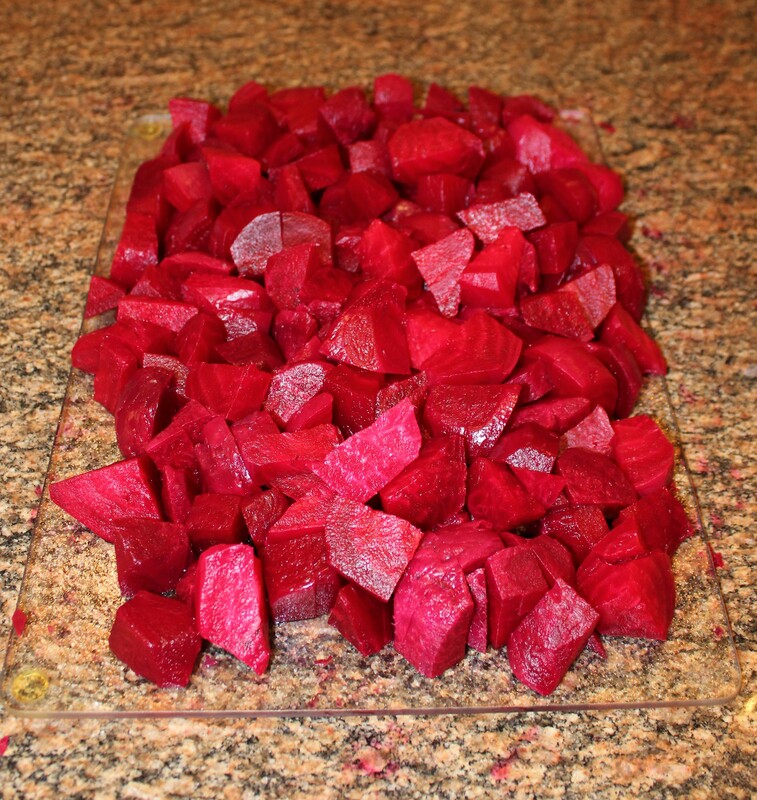 You Can’t Beat These Beets! Canning with Ball Jars and a Giveaway! A few weeks ago I posted about International Can-It-Forward Day as part of a promotion with Jarden Home Brands. This was an event to celebrate the joys of fresh preserving, which I’ve been doing for years, so I was happy to blog about it. And for my efforts, Jarden sent me a great Ball home canning discovery kit that had three pint jars with lids and bands and a polypropylene canning rack. Also included was a box of cool designer red lids with bands, fiesta salsa mix, some coupons and the latest edition of the Blue Book Guide to Preserving, which has more than 500 recipes. Sweet! In addition, Jarden will be sending one of my lucky readers a coupon for any size case of jars, up to $16.00. Extra sweet! Keep reading to see how you can enter to win these great jars. 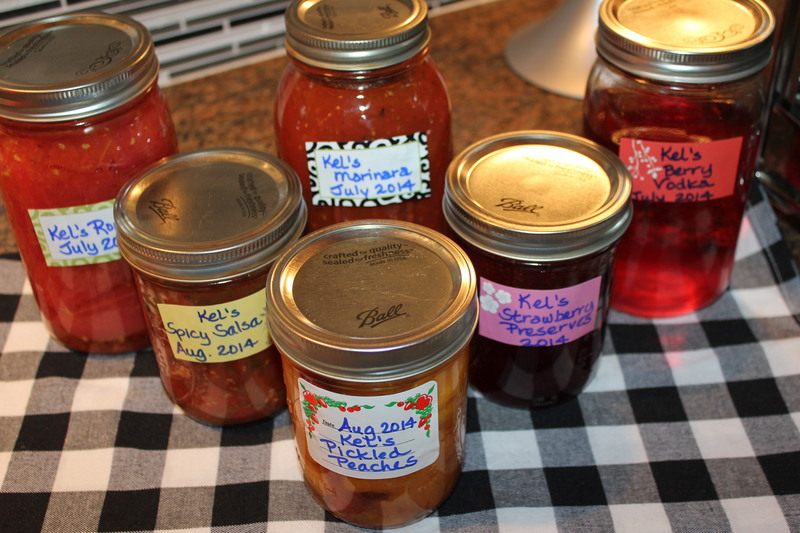 Last year I canned several jars of delicious marinara sauce, Roma tomatoes, dill and okra pickles, jalapeños, pickled peaches, strawberry preserves and salsa, all for my family to enjoy in the cold winter months (https://kelleychisholm.com/2014/08/12/yes-you-can-preserve-now-and-enjoy-later/). 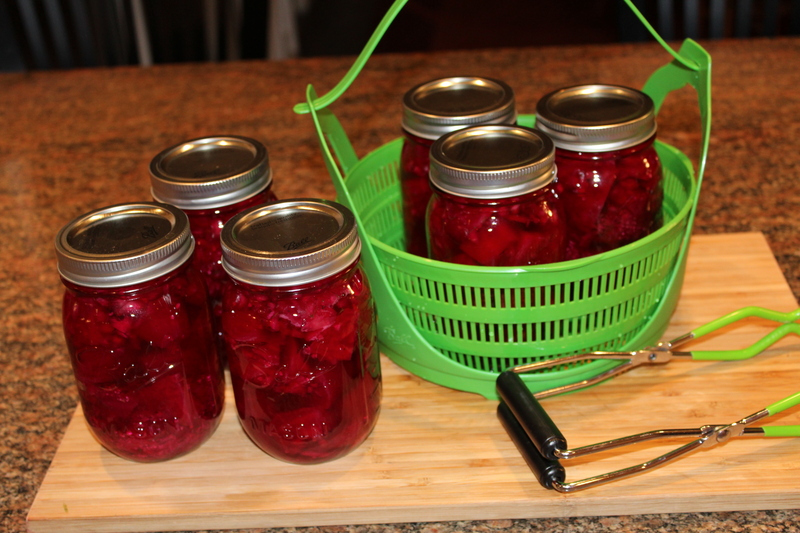 This year I wanted to try my hand at pickled beets, which I love. 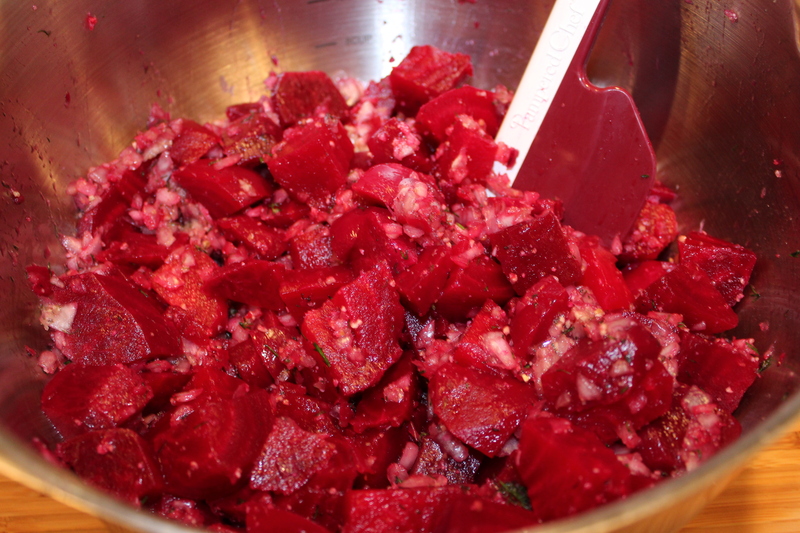 I’ve been buying a delicious southern pickled beet salad at Whole Foods, which is not cheap. I couldn’t find the recipe on Whole Food’s website, but did have a list of the ingredients. 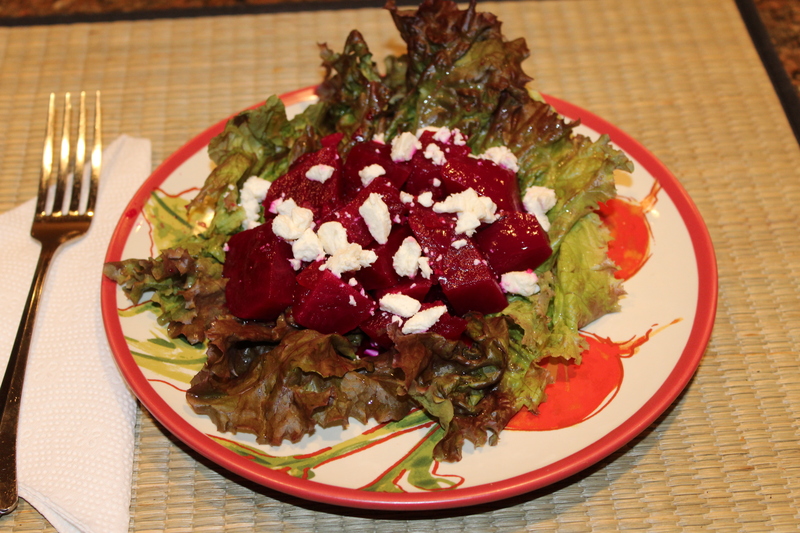 After looking at several recipes online, I finally came up with a wonderful pickled beet salad that is just as good, if not better than the store-bought version. It is tangy, sweet and sour, all at the same time, and a perfect dinner side for poultry and pork or by itself on leafy greens with some crumbled goat or feta cheese. Yummy! 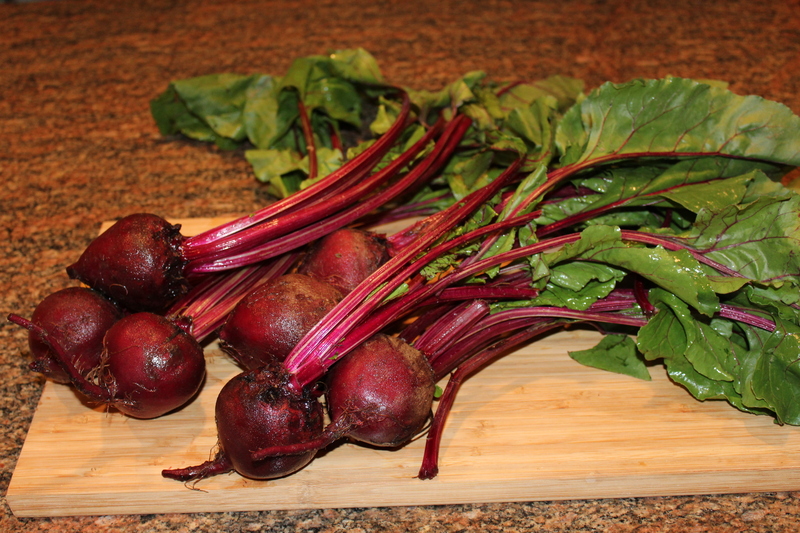 Cut off the leaves from the beets, leaving about an inch of the stems. Do not cut off the taproot. 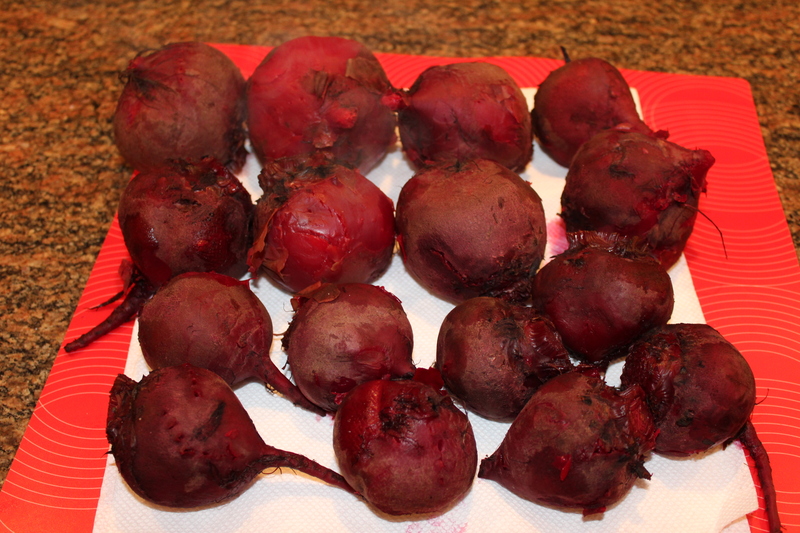 Scrub the beets, place in a large pot (I used two), cover with water and bring to a boil. Lower the heat and simmer for 30 minutes or until fork tender. 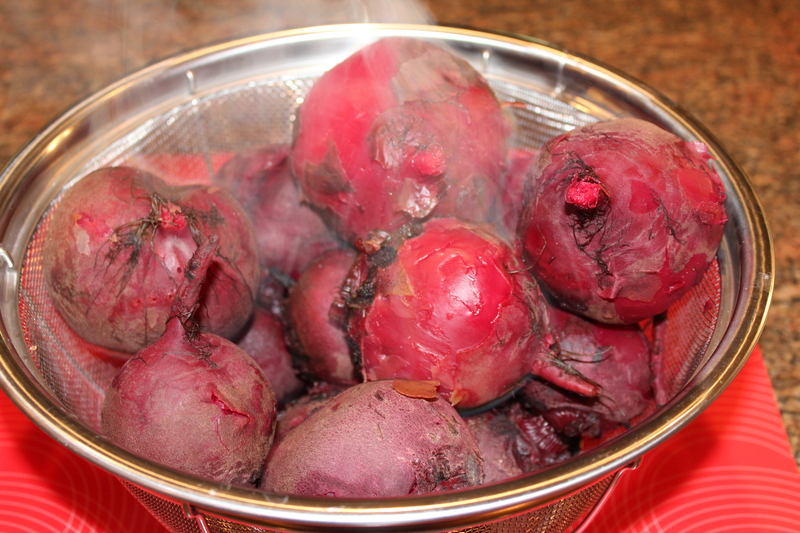 Drain beets in a colander and then place in a single layer on paper towels. 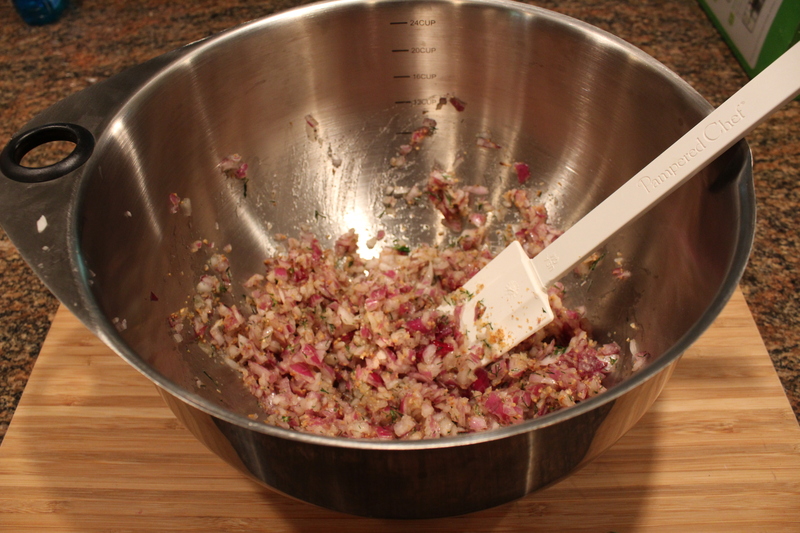 Meanwhile, place the onion, dill, orange peel and pepper in a bowl and mix well. Transfer the mixture to a colander and set aside. 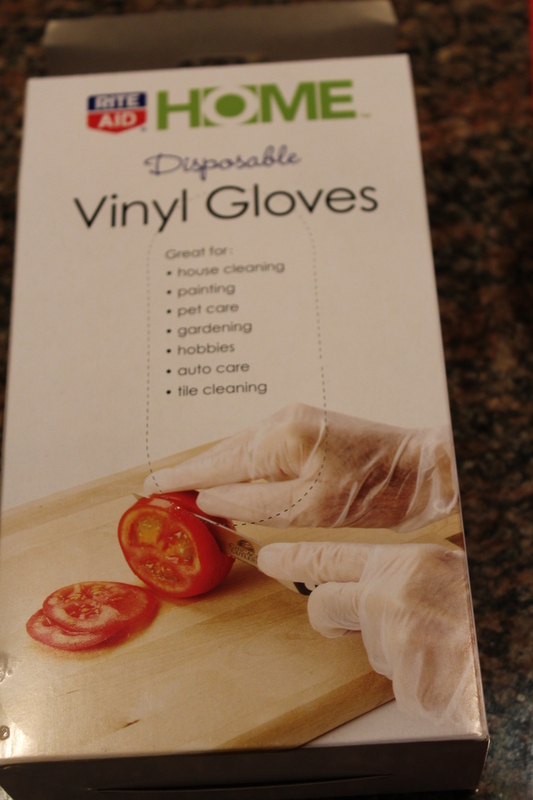 Once the beets have cooled, put on some vinyl gloves to avoid staining your hands and peel the beets. Cut into bite-sized pieces. 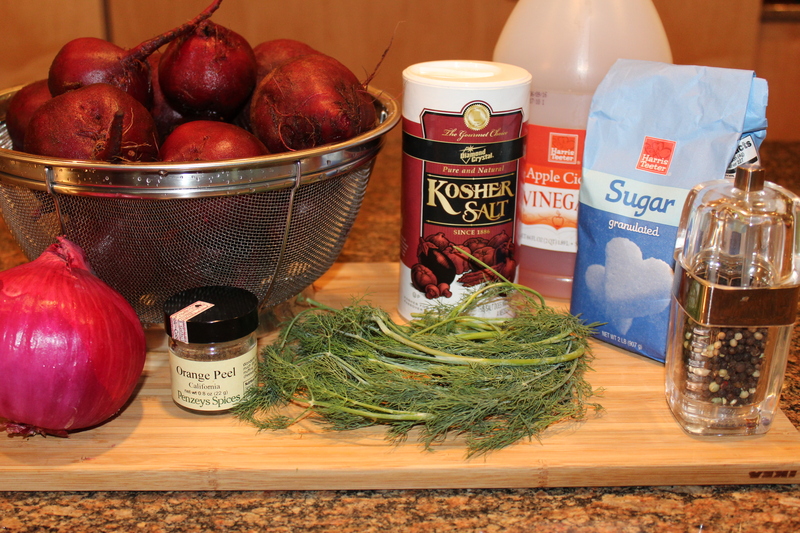 Place the beets in a large bowl and toss with the onion mixture. 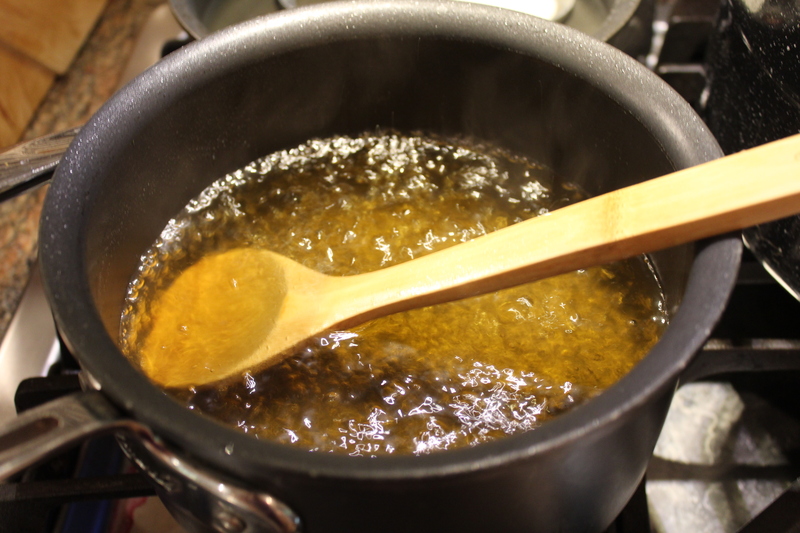 Bring the sugar, vinegar, water and salt to a boil, mixing well. Pour over the beets and mix well. Let stand for 20 to 30 minutes. 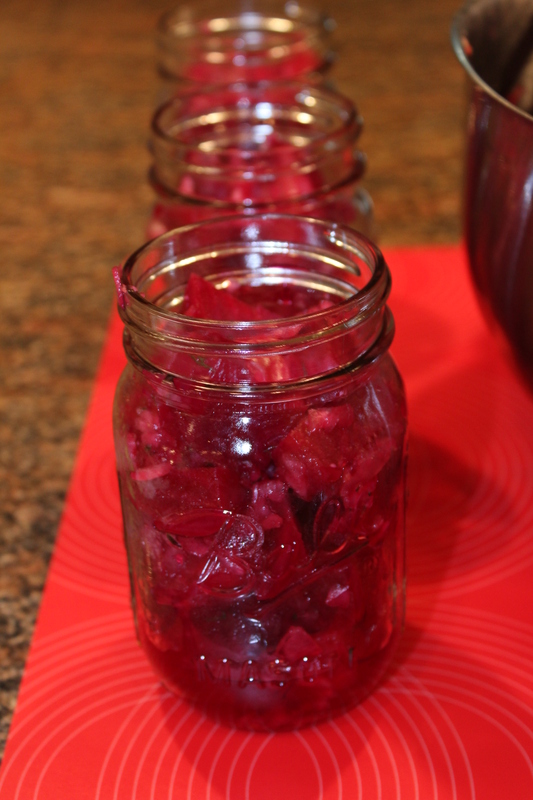 Using a slotted spoon, fill hot, sterilized jars with the beets. 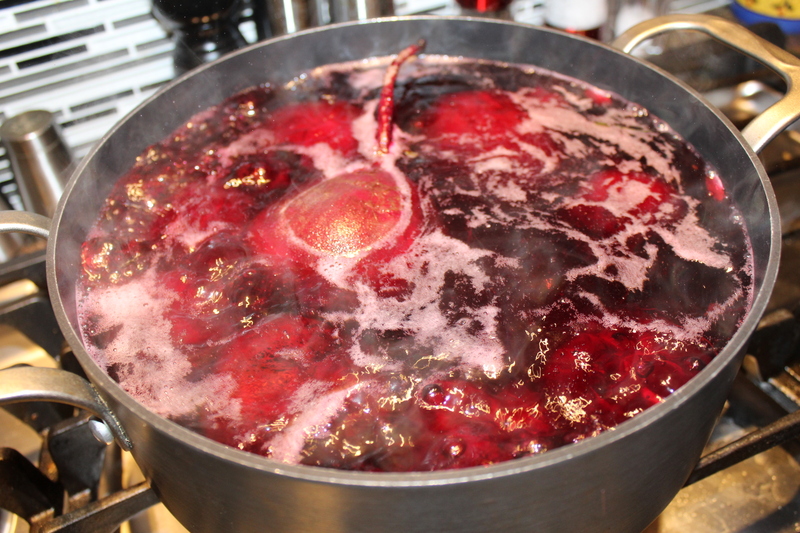 Add the beet liquid to 1/4 inch to the top of the jars. Wipe the rims of the jars with a clean cloth. Remove any air bubbles. Place sterilized lids on jars and screw on the bands until they are fingertip-tight. Place the jars in a water bath for 15 minutes, making sure the tops of the jars are covered with an inch or so of water. 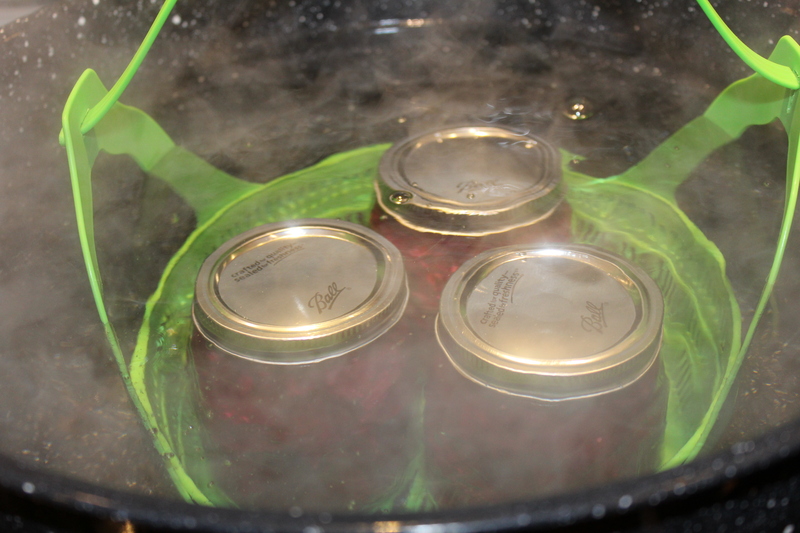 Remove the jars from the water bath and let cool overnight, undisturbed. Check seals by pressing the center of the lid to determine if they are concave. Label jars and store in a cool, dark place for up to one year. Before serving, you will want to place your jar in the refrigerator overnight. Doesn’t this salad look fresh and delicious? On a beet plate to boot! 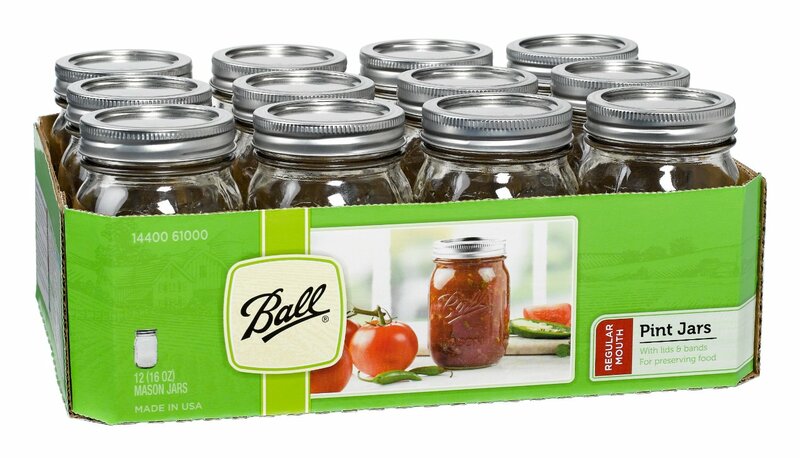 OK, on to the contest to win a coupon for a case of Ball jars. I’m going to make this one easy for you. Just like this post on my blog, or share it on Facebook. That’s it! The drawing will be held on Sunday, August 23, 2015, between 6:00 pm and midnight. Good luck! 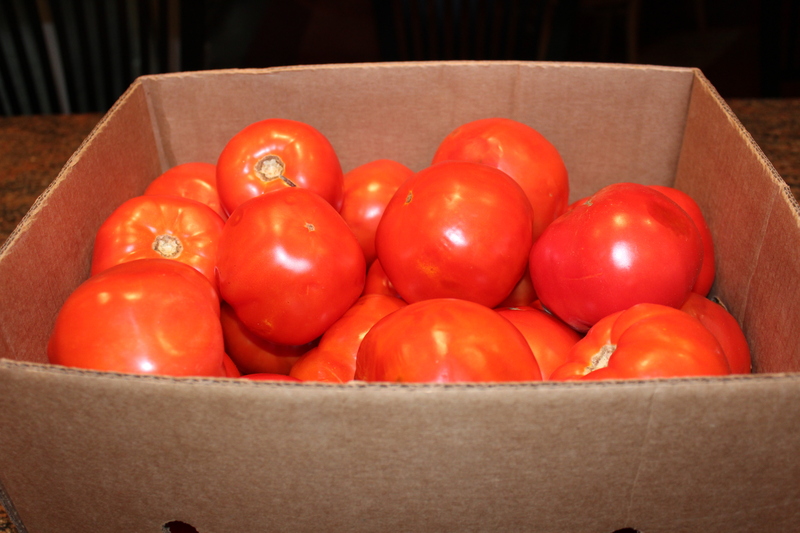 Up next – tomatoes. 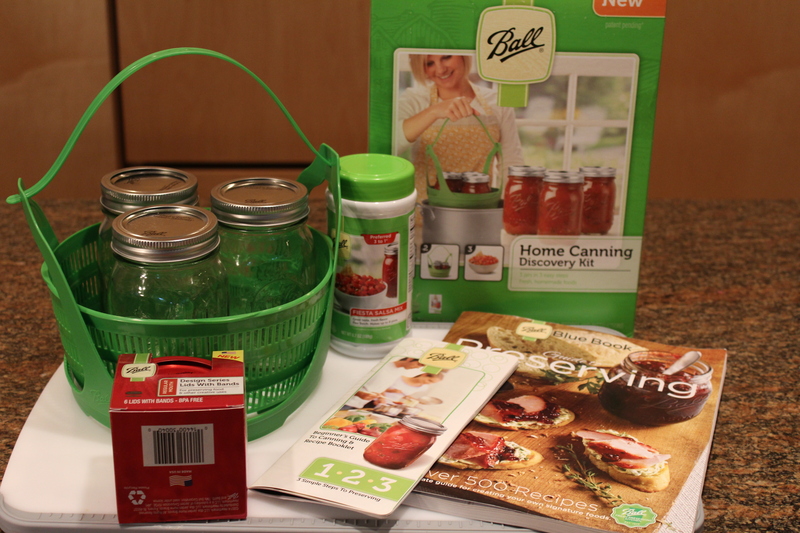 Yes, I’m a canning fool, and Ball and Kerr products make it easy! 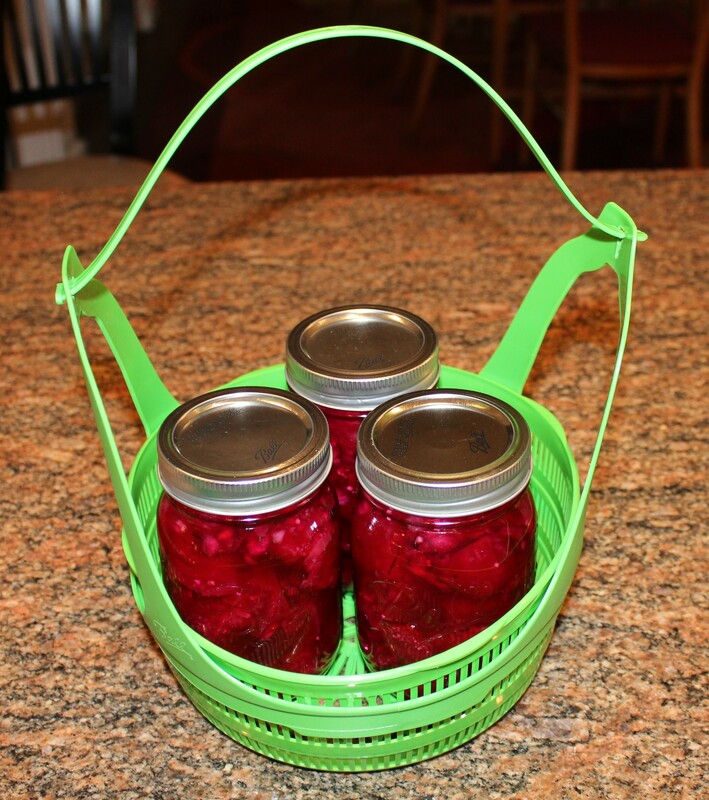 This entry was posted in Product Reviews, Recipes, Vegetables/Vegetarian/Vegan and tagged Canning beets, eat drink and be merry, Kel's Cafe giveaway, kel's cafe recipes, Kel's Pickled beet salad canning version, pickled beet recipes, Preserving beets. Bookmark the permalink.